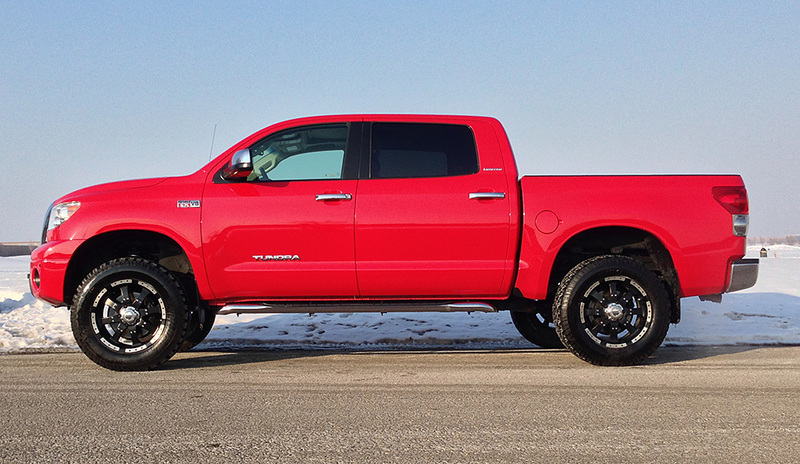 Tuff Country's 4" Toyota Tundra lift kit will allow for use of up to 35" tires (with minor trimming) and gives additional fender clearance. 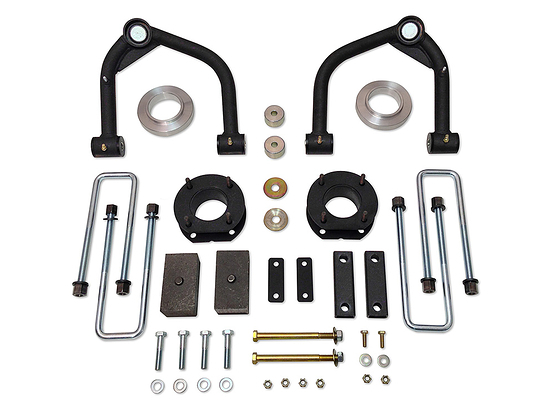 This lift kit uses a combination of new upper control arms and coil / strut spacers to lift the front end while maintaining factory geometry. The rear is lifted using 2 inch lift block and extended ubolts. Installation is straight forward with no holes to drill. 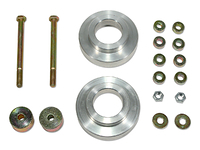 Tuff Country has been producing quality suspension products for over 25 years and backs all lift kits with a limited lifetime warranty. 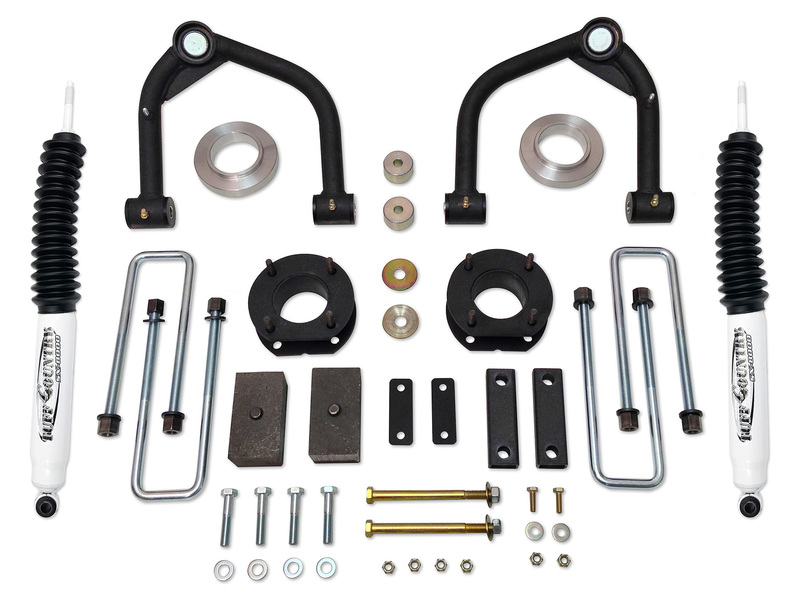 Note: To purchase Tuff Country 54070KN (w/SX8000 Shocks), 54070KH (w/SX6000 Shocks) or 54071 (w/rear shock extensions) please select in options above. 2. Tuff Country recommends a 33" x 12.5 tires (with no trimming required) or 35" x 11.5" tires (with minor trimming of the body mounts) with a wheel that has a back spacing of 5.5" less. 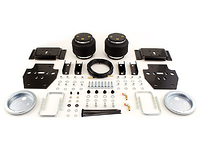 The stock tires and wheels can be used in conjunction with this lift kit. 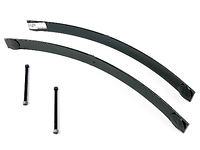 If a wider tire is installed on the stock wheel, contact with the upper control arm will occur, and is not recommended. 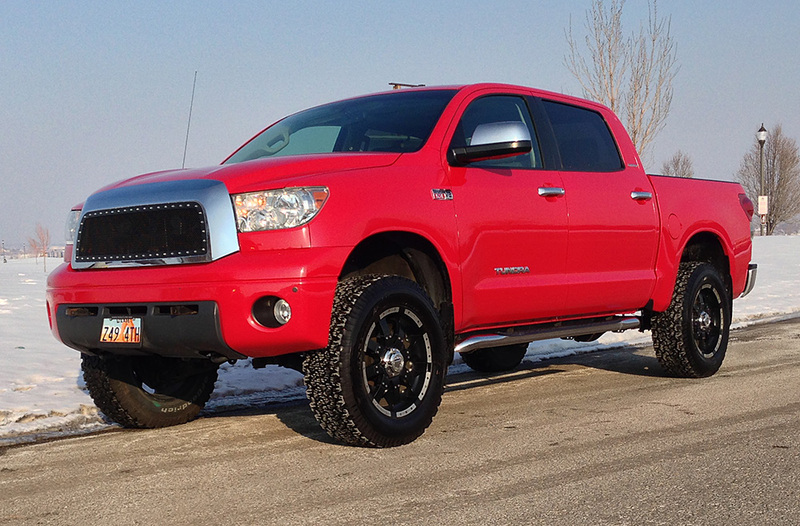 I have a 2010 Toyota Tundra Limited TRD. 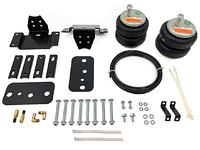 Will the Tuff Country 54070 fit my truck? Yes, will fit the Limited TRD model with no problems. what is the difference in performance in the two shock absorbers? I live in a cold climate area. We can get -20+ degrees thru the winter months a lot. Just wonder which one would perform better for me. 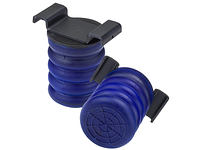 The SX8000 is a Nitro Gas shock absorber recommended for full size vehicles. The SX6000 Cellular Gas shock are recommended for mid size trucks. We recommend you go with the SX8000 option. Getting the struts out and back in would be nearly impossible without a helper, but other that that super well thought out kit. I�ll leave this short and sweet. 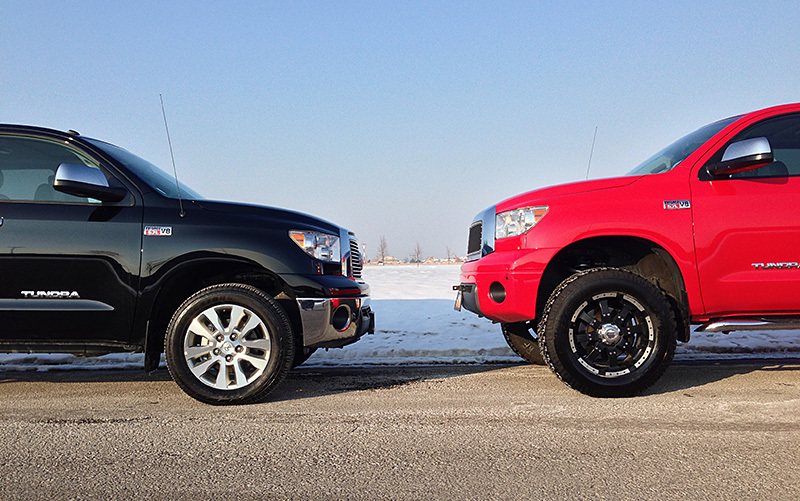 Looking for a quality 4� lift for my 2012 Toyota Tundra XSP-X edition and this worked perfectly. Although I do have a small amount of tire rub, I am very please with it. 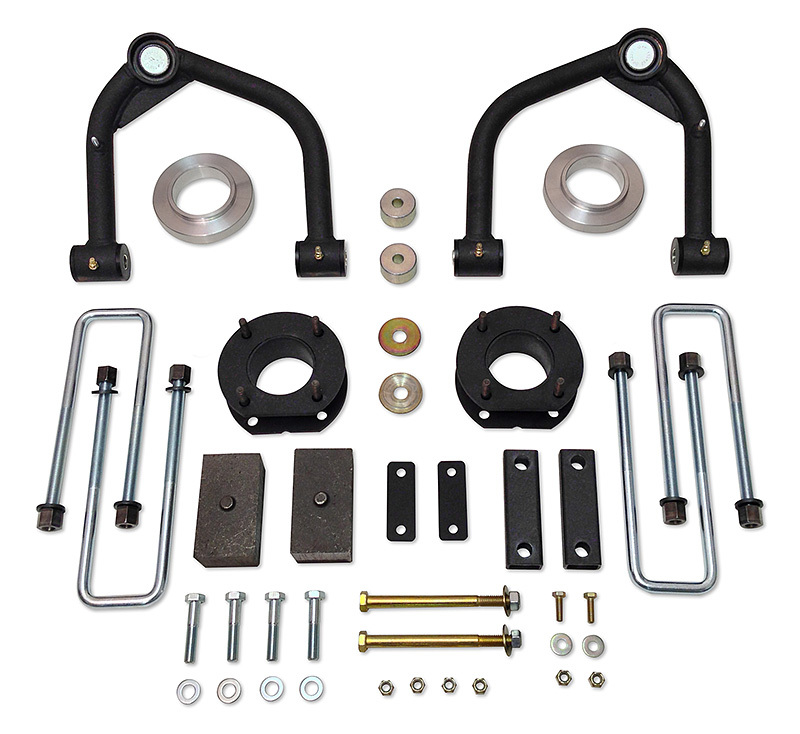 I�ll be getting a tuff country lift for my FJ next. Great looking product and great quality overall. Installation was easy, and end result looks awesome. Get lots of attention! I've had this lift kit on my '14 tundra for almost 3 weeks now and absolutely love it. The pictures of this kit don't really do it any justice. It sits so much taller then a stock truck and doesn't sacrifice too much of the comfy stock ride quality. Fairly easy installation for my mechanic and good shipping time. Only complaint was the lack of help I received from one customer service rep but the rest of the staff has been great. I definitely recommend this kit over any others simple because of the price and quality. A wrong part came with the lift kit for my Tundra, but Suspension Connection customer service was able to replace and overnight the right part to me. Thank you for the great service! It did not change the ride as promised. Steering radius slightly longer. Had to remove inside front fender skirts on both sides do to tire rub. Used Nitto 35x11.50 trail grapplers. They still barely touch the body mounts on inside wheel wells in hard turns but not a issue. The 4" in the front leveled my truck, didn't need the rear blocks. Wish I could of gotten a hold of someone when I ordered it. Would of just ordered a leveling kit. Product is good quality and fairly easy to install. Had the kit put on by professionals for $325. I've had it on for a month now with the shock extensions in the rear. I'm extremely happy with the performance and how well the shock extensions hold up when I go off road or over high curbs. I intend on ultimately getting some King or Fox front and rear shocks but for the mean time the extensions are excellent. The new UCA's are strong and the 4" lift is just right. Very happy with this kit. Also shipping was prompt and fast. Installed this on my 2012 tundra. Made the truck look how it's supposed to.